Meck invites fishermen who are tired of shoulder-to-shoulder fishing on renowed trout rivers to try the undiscovered small streams of North America, where ". 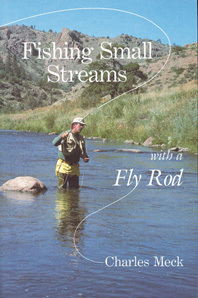 . . once you experience a successful thirty-plus trout day, you'll be hooked for life".